Is the global chai shop out of currency? I wrote this three days ago, at Jeddah Airport, waiting for the connecting flight to Chennai. Half awake and half asleep, I am conscious of the hundreds of people around me – possibly thousands, who are anxiously waiting to leave the Airport and reach their destination. I see a fleet of Saudi Arabian Aircraft waiting to be air bound outside, with just one thought – I want some coffee to wake me up. But the 27 Moroccan Dirhams in my pocket cannot save me from myself, in this particular situation. I went up to the local Traveler’s Corner restaurant in the waiting lounge and the South Asian man at the counter announces that Moroccan Dirhams are not acceptable currency, which means I have to go to the ATM located outside of the Duty Free Shop, that is about 500 yards away. Not sure of the ATM there and the effects of using my card on it – I resist. In the past few days, I have read far too many articles about card fraud and internet theft to actually walk into some random ATM and try transacting anything. I just want to have coffee, with my cash or the credit cards in my pocket – I have two of them. “No sir! Cash only,” announces the man. “But I have cash, here you go” I say, handing him the Dirhams”. “Moroccan money, not acceptable sir”, he declares and I curse under my breath. A halal curse. I am in the holy land, after all. I consider using the ATM, but don’t want to risk losing my card or three dollars as service fee for getting four dollars out of the damn machine, I stop myself. This seems to be such a wasted effort. And I am not any wiser, post the struggle to inject some coffee into my sleep-deprived system. God! Grant me some coffee. This is the prayer escaping my lips right now. On another note, I think Tom Friedman and others like him, who extol the ‘flat world’ are so wrong. I wonder if they have tried having coffee or chai at this chai shop in Jeddah. Why, if this ‘flat, inter-connected world’ is a reality, am I struggling to use cash that I have , or cards that are sitting in my pocket – to buy something as simple as a coffee? Why are Moroccan Dirhams not acceptable currency – a Muslim currency in a Muslim world, when Dollars are welcome, while Dirhams are not. Is it the dollar’s hegemony, yet again? My brain is too tired to think about all of this. But I cannot resist. Reading all that macro-economic theories in class – years ago has had some side-effects. Those lectures from my former IMF economist professor come flashing back, in such moments. May be their theories emerge from drinking too much coffee at JFK or Dulles Airports. Or the well connected and integrated Dubai or Qatar International airports. For some dose of ‘reality’ I think Friedman and his gang need to head over to Jeddah. More when I am awake. Right now, I am sedated with the smells of Oudh wafting through the air, the sounds of Qur’an recitation and blaring screens, announcing destinations around the world – all in Green, the Saudi national color. I am feeling slightly overwhelmed. A little bit of coffee would help, but I will have to wait. The global chai shop is out of currency, it seems. 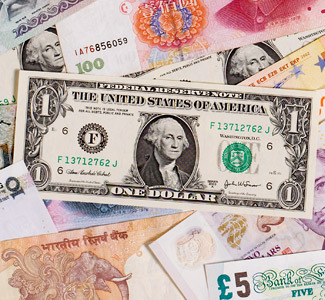 Author Sabith KhanPosted on July 28, 2014 Categories UncategorizedTags Airport, Currency, Dirhams, Jeddah, Morocco, Saudi Arabian Airlines, Travel, USA, USDollarLeave a comment on Is the global chai shop out of currency? Scholars and intellectuals form a community – no matter where they live; their learning and seeking of truth unites them in a bond that is hard to break. This was the philosophy that Ibn Battuta lived by, and I put this to test recently. True to my old habit, I tried to read up as much as I could about the country I had always wanted to visit. While Lonely Planet satisfied my travel curiosity, I looked for something more substantial, in terms of intellectual rigor, so turned to Mernissi, a famous scholar from Morocco – who did not disappoint. Dr. Fatima Mernissi’s Islam and Democracy – Fear of the Modern world, is a classic in Islamic studies and offers an unparalleled insider’s perspective on Islam in the Muslim world. I then decided to write to her – on a whim- and did so, about three days ago, on arrival here in Rabat. For those who do not know her, Mernissi is one of the most important Islamic feminists alive today and is a trail blazer, who has contributed to understanding gender dynamics in the Islamic world. Not only did Mernissi invite me to meet her, but also recommended that I meet two of her friends/colleagues who are working on civil society issues in Morocco. I jumped at the chance and went to meet her, with Fabiola. The entire meeting with her lasted about three hours and spanned several topics. A gist of the same is offered here. The first thing that struck me about her was her enthusiasm and intellectual vitality, despite her advanced age – she was born in 1940. She had the curiosity of someone half her age and the depth of understanding and knowledge that only comes with age. On knowing my Indian and Arab heritage, we spoke about the ways in which the Indian subcontinent was connected to the Arab world, through trade, commerce and intellectual endeavors. The Indians played a key role in translating many of the classical Greek texts to Arabic during Andalusian era, circa 11-13 centuries A.D. I also learnt that there are over 50 words for love in Arabic, while there are only 12 in the English language. Some of them include Al Mahabba ( Affection), Achaghaf ( Infatuation), Al Kalaf ( fondness), Achaju ( Distress), Al huzn ( sadness), Al araq (sleeplessness), Al law’a (ardent love), Al huyam ( bewildering passion) among others. She also handed us a booklet of calligraphy that captures these 50 words, beautifully illustrated by the work of an artists Fatima Louardighi and Mohamed Bannour. 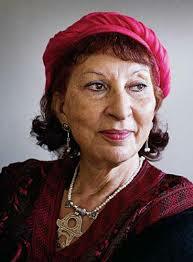 Her love for Islam and the Arab, North African culture and heritage is evident in her work as well as her life. An avid reader, her apartment was full of books, paintings and handicrafts – all made locally. I did spot an elegant painting, of medieval India that decorated her living room. We spoke about the Arab spring and her ideas of the uprising were also somewhat eclectic. She seemed very optimistic about the uprisings and how they are creating a counter-movement to violent extremism. “The youth fighting in Syria and Iraq are misguided and manipulated. They must be reformed and given opportunities to integrate and not punished,” she added. While the Western media and some in the Arab world also paint a very negative image of what is going on, Mernissi seemed very optimistic. “The dream of forming a global cosmic village may have failed in the 1960s and 70s, but I am confident that it will take place again and Islam will be the factor responsible for it,” she added. In this perspective, the global digital technologies are playing a key role, she added further; pointing to the success of TV Anchors and musicians such as Amr Khaled, who are not only successful but also rich, thanks to their religiously attuned music and performances. She also spoke of the re-emergence of Adab, which could loosely translate as ‘respect’ or ‘way of dealing with others’. This has roots in 9th century Arab world, under the Abbasids, who expanded travel, ethical behavior and also the discipline of self-teaching. 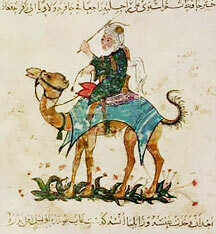 Caliph Al Mansur the second Abbasid ruler launched a huge translation project from Greek to Arabic and Sanskrit texts. In this way of thinking, the stranger was to be treated as an equal of oneself, she argues. In Jahiz’s book “The art of communication and demonstration” (Kitab al Bayan wa Tabyin) written in the 9th century, Adab – through treating the stranger as one’s equal was the key to learning, discovery and also empowering oneself. Sufism is key in transforming this idea of movement and regenerating oneself, Mernissi pointed out. The travels of Sufis to the far East not only spread Islam, but also aspects of culture, religion and sciences that were unknown to them. 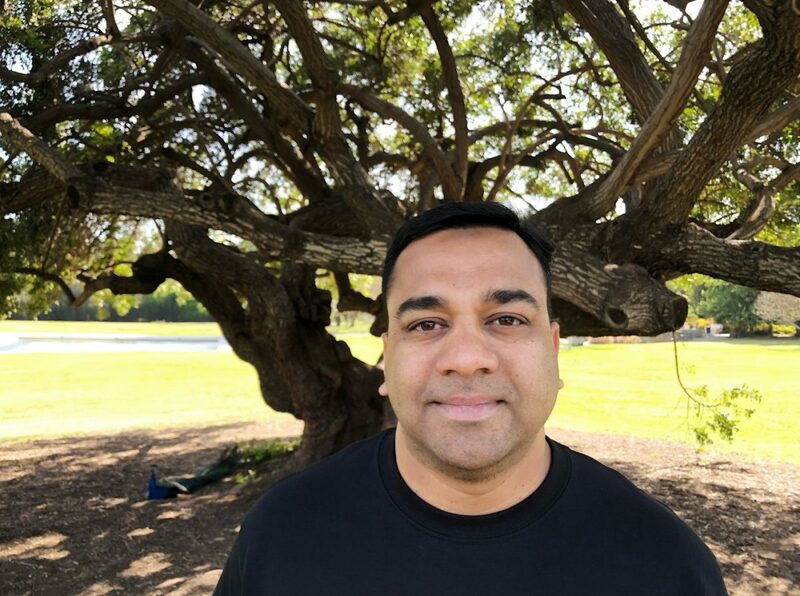 My own family’s heritage is one of travel – around the South Asian and Middle Eastern regions. Had my ancestors not traded and worked as mercenaries, I would not be here. Quoting from her favorite Sufi scholar, Ibn Arabi, Mernissi said “The principle of the universe is movement…if it stops moving it will return to non-existence”. This seemed to sum up my travel agenda too. A befitting principle to follow in a globalized world of travelers and seekers. Speaking of the ‘image’ problem that Islam and Muslims face, Mernissi pointed out that this needs to change. Much of the distortion of Image can be fought by looking critically at what we are being told. “For instance, look at what Picketty and other economists are telling us today. They are using the language of ethics and morals – the very essence of all religions. So, why is religion getting a bad name?”, she enquired. Mernissi also took us on a short guided tour of the poor district in Rabat, the Yacoub Mansour neighborhood – where pirated CDs, jewelry made in China and other locally made handicrafts were sold – on the streets. It reminded me of the similarities with the bazaars in India or in Mexico. And all through the short trip, she kept asking the shopkeepers, “ Where do you think these two are from,” and for the most part, they kept saying “They look like they are from here”. It was reassuring to know that me and Fabiola actually blend in. The chaos on the streets, the noises and pets on the street reminded me of India and of what I have seen/read of Mexico. We were surely feeling at home and it was good to be reminded that we did come across as the next door neighbors. It seemed to be a great start to learning more about this fascinating country. I am off to India by way of Morocco. This is a modest attempt at following one of my heroes – Ibn Battuta – a Moroccan traveler and scholar, who lived in the 14th century. Why is he my hero? for that you must watch this fascinating talk. In short, this scholar-traveler did about 73,000 kilometers on Camels and Ships– yes, you read that right, this was before the Steam engine was invented. And he lived in India for a good 12 years. I am following his footsteps, in a very modest way- though in reverse. I boarded the train to Washington D.C. this morning, from Philadelphia with three pieces of luggage, feeling a bit ‘disabled’ with my lack of ability to move freely. And yes, you guessed it right, I sat in the ‘disabled’ seats right in the front – with lots of legroom – ah, relief at last. I eyed my surroundings to make sure there weren’t another other ‘genuinely’ disabled folk. Thankfully there weren’t any. I did a double-take to make sure I wasn’t breaking rules. I hate breaking rules, when there is no need. If there is a genuine need, and I feel morally obliged to- I break them- with impunity. Nelson Mandela did, so did Gandhi. So, I must be in good company. Anyway I sat down, feeling a bit self-assured. A few minutes later, the moral inspector in me started poking me to get up and move back. ‘What if there are three disabled people at the next station’ said the little voice in my head. As I often do, I moved back. Just two seats behind. I couldn’t lift the heavy luggage I had to put it overhead, so just put it on the next seat and sat down, looking out of the window and thinking about my upcoming adventures. Not as frightful and risky as undertaken by Mr. Battuta, but exciting, nevertheless. The conductor came. He saw that I had placed my bag on the next seat and asked me to put it on top or ‘move to the front’ i.e., to the disabled seats. Bummer, I told him I couldn’t lift it easily so he asked me to move. So I did. Back to square one. My instincts were right. I was happy to be back to my former location. I should’ve let my initial inertia guide me. Anyway. Nothing lost. In the meanwhile, an older black lady was sitting on the adjacent seats – an Iraq war veteran, who had all sorts of paraphernalia on her. She seemed to want to take a nap, so I did not intrude her. Under normal circumstances, I would have at least said hello and made small talk. She seemed to be an older lady – about 60 or so, and came on a wheelchair, that was sitting right in front of her. The little voice in my head asked me ‘How will she get off’? Will she call the conductor, or do I need to help her get off? Also, how is it to travel as a disabled person? If just three pieces of luggage are making me so ‘disabled’ how the hell to really disabled people manage to get around? Tough luck indeed. God bless the disabled. And the veterans. I flipped open the Acela travel magazine with a Seth Meyers photo on the cover – sharp, well dressed, in all blue. I love blue- one of my favorite colors – so I went straight to the cover story on Mr.Meyers. I read with interest how he came to be the person he is. His ‘authenticity’ seems to be the ‘secret’ behind his humor. I suppose it is for most great comedians – Ali G, Charlie Chaplin and Muhammad Ali – though Ali was more of a boxer than a comedian. But I rank him highly as a comedian – more than others would. But that is me.Sorry to be so opinionated. I have been this was since I was four years old. My (late) mom told me so. As I am growing older, Iam trying to be less so, and be more open to other ideas. But I suppose we are all created a certain way. And we must live with who we are. I am trying my best to live with myself. Sometimes it can be hard, for the most part, I am an ok guy. Nice enough to others, but not to myself. I need to learn to be nice to myself. Take my luggage situation for instance. My current ‘luggage disability’ owes to a favor I am doing for a friend – whose 16 yr old son requested me to buy a certain electronic equipment – which I agreed to, without knowing how bulky it would be. My heart sank when the shipment came. I didn’t imagine I would have to lug this monstrosity all the way thousands of miles. Along with my luggage. Beat that. Being nice can be a bit hard at times and with my penchant for traveling light, this is the worst thing that could happen. But what to do, I have promised a 16 yr old kid – who I have never met – a gift and I have to keep up my word. So, here I am sitting, with three pieces of luggage, instead of two and feeling sort of sorry for myself. Perhaps I should stop moaning and get on with it. Like a true traveler. I have also noticed that I suddenly become philosophical when I travel. My reservoir of profoundness seems to burst forth when I am on the move. Is it just me, or does it happen with others too? I need to ask a few dear friends about this- only if I remember to. Made a note of that in my journal. One thought that came to me is a hadith (saying of the Prophet Muhammad) that life should be lived as if we are travelers – in the sense that we are passing through life – and not getting too attached to people or places. I have tried to incorporate some of this in my life, but I guess attachment is a human weakness. Hard to completely be detached – as most religions in the world teach us – Hinduism has a very strong element of this detachment philosophy too. ‘World rejection’ is the word that Sociologists of religion use to describe this phenomenon. I flipped through my phone and noticed on Twitter that Anthony Bourdain said something thoughtful about the ongoing ‘War’ on Gaza. More like Israeli assault on the folk there. Four kids were killed, while playing on the beach and Israeli President Shimon Peres apologized this morning for this. What about the other 200 odd deaths? They were all ‘collateral damage’ I suppose. I am growing sick of the media coverage, the hatred and venom from people on social media. And the valiant efforts of some people trying to post pictures of Jews and Muslims hugging are also somewhat disingenuous. This is NOT a religious conflict, except that some ultra-orthodox Jews are making it a zero-sum game by insisting that God gave the land to them. I think this is about land – and should be viewed as such- and as good intentioned as these efforts are at showing that Jews and Muslims can break bread (and fasts) together, they don’t help much. They only dumb down the arguments and make the reader look stupid. But I guess in America one needs this level of discourse too. Most Americans can’t place Palestine/Israel on a map. Finally, there was an ad for Lynchburg, Virginia – a town close to where I live. Why doesn’t Lynchburg change its name? to something live Loveburg or something. I mean, the term ‘lynching’ apparently came after the practice of lynching that took place in the town – many ages ago- wouldn’t that be a good case for re-branding a town’s name? If that isn’t a good reason, I don’t know what is. And yes, like Ibn Battuta, I intended to stop by Mecca for Umrah, but unfortunately that will have to wait. I need a visa, unlike Mr.Battuta, who traveled within the Islamic empire of his day, sans passport, visa or the hassles of security checks. In some ways we surely seem to have regressed, as a species. Freedom of movement is restricted these days. So is the freedom to really think for oneself. It takes a great effort and courage to speak one’s mind it seems. Too much censorship, self-censorship around us going on. Are we really free, as we imagine? Free to travel, think and live? As a former PR man, I am suspicious of all the branding and advertising of this ‘freedom’ we speak of. More on this later. Music and the Mullahs – can the twain meet? The debates about the use of music in Islamic practices specifically and music as entertainment are perhaps as old as Islam itself. These debates are not new reminds a scholar of Amnan Shiloah (1997). In the absence of clear injunctions about music in the Qur’an, secondary texts such as Hadith and other texts written by scholars of Islam have become important in interpreting the role of music in Islam and how permissible it is. Given that many Muslims around the world do take their religion seriously, when it comes to matters of practice, this is an important issue that needs to be addressed. With rap and metal being used by revolutionaries in Egypt, Tunisia – to get their message across, Sufis organizing music festivals in Morocco, mainstream actors and actresses dancing to Bollywood tunes in India and Pakistan, is music really haram? I will try to address this intricate and complex argument here. Let’s start with the basics. Music is not totally forbidden in Islam. Even the most die-hard Salafi will admit that the Prophet Muhammad ( peace be upon him) was known to enjoy some music from dhaf, a drum like instrument, on special occasions. Shiloah says “Some authorities, for instance, tolerated a rudimentary form of cantillation and functional song, but banned any instrumental accompaniment; others allowed the use of a frame-drum but without discs, forbidding all other instruments, particularly those be-longing to the cordophone family. The mystic orders, for whom music and dance held a vital part in the performing of spiritual and ecstatic rites, were seriously concerned with the debate and participated ardently in the polemics.” This debate is really not part of daily life, with tolerance being the norm in most Muslim societies. It is only in extreme cases such as Saudi Arabia – where public performances are banned that this debate gains salience. Shiloah shows that the first authoritative attack on music came from Ibn abi al Dunya (823-894) A.D., who was in the court of Caliph Al Muta’did (892-902). Dunya’s argument in his book Dhimm al Malahi and the use of the concept of Malahi or distraction (from religious obligations) is key to the development of the notion that music is a distraction from religious observance (since it was associated with gambling, drinking and merriment). On the other hand, Sufis and those mystics who saw benefits of Sama and the use of music argued that music stirred the emotions to worship and brought the believer closer to Allah. As Shiloah further argues “ Another early Sufi scholar al-Sarrij (d. 988) who set forth the true principles of sufism in his Book of the Sparks, distinguished between the sama of the vulgar and that of the elect, which includes various degree.”Sufis were pious, practicing Muslims, for whom music was but one way of expressing their spirituality. The modern day subversion of Sufism for commercial purposes is another matter, and I will address that in another article. Growing up in India in the 1990s’, the early musical influences in my life were Michael Jackson, Bryan Adams, Backstreet boys and a plethora of Indian musicians including Nusrat Fateh Ali Khan, Adnan Sami, Ustad Zakir Hussain, Sabri Brothers and others. Though my father enjoyed Bollywood music and we heard lots of Qawwali on Fridays, music was somewhat of a taboo, despite being loosely accepted. I remember my father disconnecting the cable TV at home because MTV was too ‘rebellious’ and ‘decadent’ in his opinion. My mother was the more liberal among my parents, who had a greater level of tolerance for things that were not too orthodox or ideas that would be considered rebellious. As I grew up and became more cognizant of the world around me, I realized that indeed Music and the Mullahs – orthodox leaders of Islam- did not get along too well. My father was a Mullah himself, though he did not practice as a religious leader full time, but was trained in theology and finer points of religion, but so was my mother. So, at an earlier age, I got my first education in the value of interpretation of religious laws and social norms – much of it did depend on human agency and aql, or reasoning. While media portrays extremists such as the Taliban as the authoritative agents of interpreting laws on Islam, there is a vast range of interpretations of whether music is permissible or not – from those who embrace Music fully to those who negate it. Across the ‘Muslim world’ – defined as any country with a significant Muslim population – one can find a rich and thriving music scene – the Qawwals in the Indian subcontinent, the Sufi singers in Turkey, traditional singers and Griot singers in Senegal, Africa. Even if it is not devotional music, music is tolerated in many forms, as long as there is no lewdness or immodesty involved. Youssou Ndour, a griot singer from Senegal is one of the latest global sensations, who has taken the music world by storm and has also taken a firm stand on music in Islam. The success of his album Egypt, around the world, which is chronicled in a film I bring what I love is a testament to the broad appeal of his music, both within and outside of the Muslim world. Another globally renowned singer is the late Nusrat Fatehali Khan, a Pakistan qawwali singer, who branched into mainstream music and is known for his melodious voice as well as his rendering of spiritual classics such as Allahu Allahu. Then there are others like Sami Yusuf, who have captured the imagination of the faithful with their rendering of religious songs. His music is for the Western Muslim, educated, well-traveled and often well-heeled. The market for the faithful is making space for techno-savvy beats and slick music videos, it seems. This is not the entire picture, as there are egregious bans on music performances in some other parts of the Muslim world. When certain legislators or governments in the Muslim world ban music, it is coming from a sense of duty to ‘preserve’ religion. In this logic, anything that the prophet Muhammad did not do it not permissible and this includes music, which he perused in a rather limited way. While there are prophetic traditions that permit music, the line of agreement it thin. There is a tension between the two human tendencies – of Rahmah (grace and beneficence) and hawa or desire, which can translate into personal opinion in practice, argues Fatima Mernissi in her book Islam and Democracy – Fear of the modern world (1992). This tension manifests in all debates that we hear about the clash of creativity and the need to conform to the current rules or authority. Artistic expression in all ways, including music falls into this category of tensions, one that can be interpreted as being ‘wayward’ or out of Islamic bounds by those in power, who can accuse artists and performers of promoting hawa or desire – an evil notion indeed. And when the state is based on maintaining order, this becomes less tolerable. The ‘collective good’ becomes more important than individual agency or freedom and hence some sorts of creativity gets banned. Mernissi further argues that since many of the Muslim majority countries have not fully signed onto the principles of Universal Declaration of Human Rights that guarantee human freedom in all its manifestations, this can lead to a lot of tensions. The Fes festival of Music in Morocco is considered one of the biggest music festival in the world. As the festival website says, “The aim of this Festival is to harness the arts and spirituality in the service of human and social development, and the relationship between peoples and cultures,” so to this extent, music has become, over the centuries a common language. There is a rich tradition of poetry in the Persian Gulf too, considered the bastion of orthodox Sunni Islam. In fact, there are popular TV shows like the Millionaire Poet, which has been a hit for the past few years. In effect, the Arabian tradition is all about celebrating the spoken word in various forms. During my stint at a PR firm in Dubai, I managed the account for Dubai International Poetry Festival, a celebration of poetry and performing arts – which included several Sama preformances as well. The power of music to bring people together endures. This has not stopped the youth from using music to express their anger, sense of freedom and demands to the leaders of the country and to their own countrymen. If there is one thing that can be said confidently, it is that music is an expression of the deepest passions and cannot be curtailed by laws or religious edits. While the mystic traditions such as Sufi orders used music for religious purposes and justified it, other puritanical scholars were harsh in their condemnation of music. This tension has continued to this day and we see the same debates being played out, in various forms. If anything, this debate shows the plurality of interpretation of the laws concerning music and the various ways different Muslim societies have chosen to interpret them. With increased connectivity, greater access to media and proliferation of cheap media technologies, one can only imagine that music, in all its variants will continue to grow and proliferate. While the Mullahs may not be able to ban music everywhere, there are bound to be movements who will try to stop the use of music for religious as well as entertainment purposes. But at the same time, one must not forget that those who are opposed to such puritanical and rigid interpretations are also fighting a battle – and are often in the majority. With the success of stalwarts like Nusrat Fatehali Khan, Sami Yusuf and others, perhaps the Mullahs will realize that music can actually serve faith in a positive way and it can be a force for good. In the meanwhile, we can hope that tolerance prevails. Shiloah, A. (1997).Music and Religion in Islam, Acta Musicological, Vol 69. P.143-155. Mernissi, F.(1992) Islam and Democracy – Fear of the modern world, Perseus Books, Cambridge: MA. Author Sabith KhanPosted on July 6, 2014 Categories Charity, Christianity, Education, Egypt, Ethics, Fatima Mernissi, India, islam, judaism, media, Middle East, music, SufismLeave a comment on Music and the Mullahs – can the twain meet? 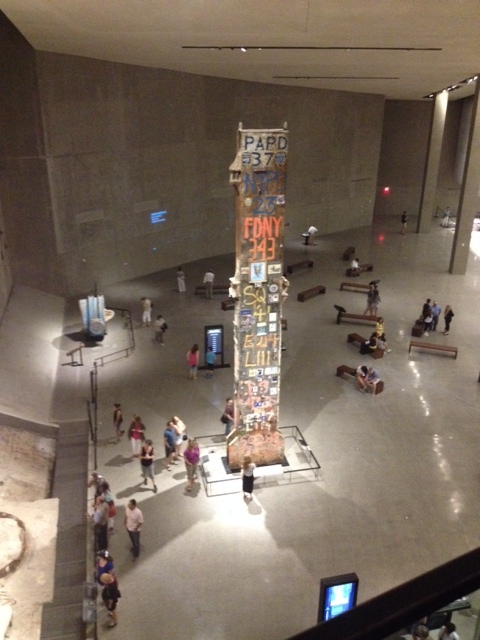 I visited the National September 11 Museum, more out of curiosity, rather than any sense of wanting to know more about the tragedy that struck the U.S. on September 11, 2001. While most of us know the facts – enough to know the bad guys, the heroism of the people involved and the reactions from dubya and what transpired later on, what is not so well known is the narrative of 9/11 and how it is being shaped. 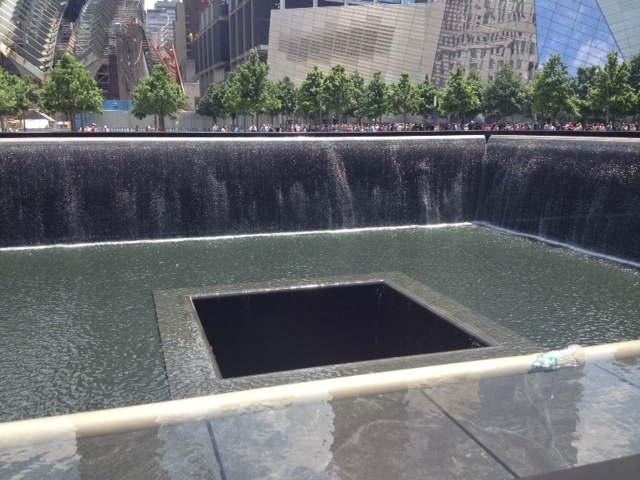 While I respect the sentiment with which the memorial was built – to honor the lives of 2,977 people who died on that fateful day- the execution of this vision leaves much to be desired. While the memorial is beautiful, the museum fails on many accounts. First off, I must lay bare my own normative biases – I am not a huge fan of memorials – of any kind- and in particular those of the type that are particularly nationalistic or jingoistic. The only exception to this is the Taj Mahal, which is also a memorial, but considered a wonder of the world, and with good reason. It is one of the most beautiful architectural pieces in the world. While I don’t consider nationalism to be utter nonsense, but let’s say that I am deeply skeptical of a project built entirely on just one identity – often based on exclusion, false pride and a visceral suspicion of the other. That is just not me. The museum is somewhat of an aberration. It is based in perhaps the greatest city in the world – New York – a city that I truly believe represents freedom, diversity; but ironically is highly securitized and represents ‘unfreedom.’ A fact that Adam Gopnik highlights in this New Yorker story. The level of securitization just before one enters the museum is quite shocking, and one feels as if one is about to take off on an aircraft, bound to enter the ‘free world,’ except that one is leaving this free world to enter a world where one is quite literally held hostage. 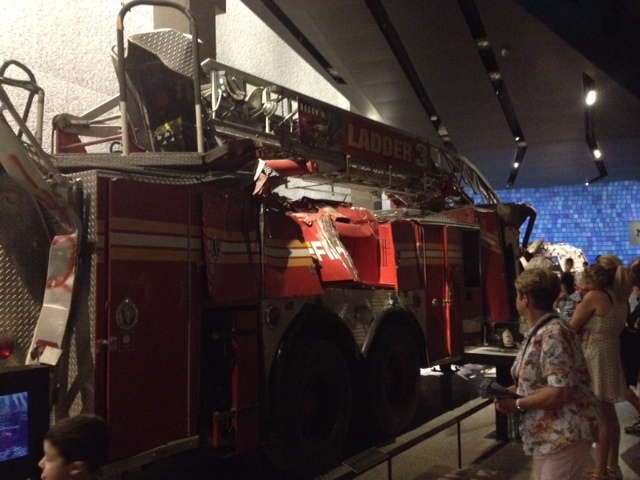 To the credit of the museum curators, the exhibits are quite well organized and often detailed with audio recordings – of the people who were trapped in the towers, of the fire fighters who risked, and often lost lives saving those of others and also that of an astronaut, who said something thoughtful about this tragedy from space. The museum itself is hard to find. I took the subway to reach the closest station, near the Financial district. Walking around, I got lost twice, having passed West Street, from where one can enter the ticketing area. On reaching the ticketing area, I was finally met by a line of about 100 people before me and the possibility of entering the museum three hours later. Given the summer season and high volume of visitors, this was the earliest I could go. I decided to buy the ticket ( $18 for students, $24 for regular adults). As someone who frequented Smithsonians in Washington D.C. ( all of which are free entry), I feel this is too steep a price to pay. 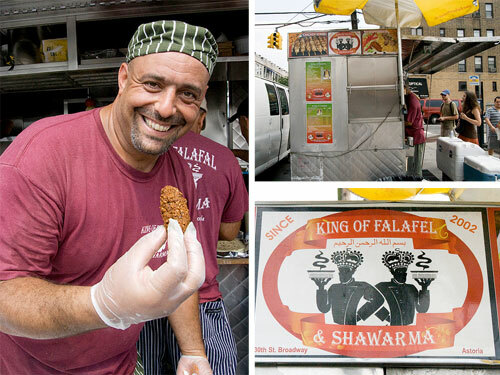 Thank the lord that I am a student and can get some discounts, even if it is $ 6 – enough to buy me a falafel sandwich on the street side food cart. A more scathing review of the museum is here. 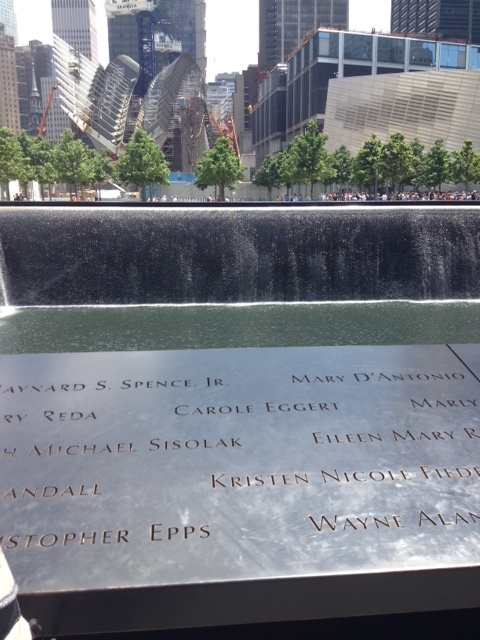 On a positive note, the memorial itself is beautiful. It stands at the exact location of the two towers, and has water falling from all four sides, into something like a huge square bowl. The water then goes into a smaller square and into the ground- viewers cannot see the entire depth of the water falling. But it is a touching memorial in many ways – aesthetically pleasing and it also bears the names of all those who died on the side walls. This is truly the most positive aspect of the whole experience. Firefighters – the real heroes? One fact that came home to me was that real heroes that day were the firefighters – the first responders, who came together to save thousands of lives. The exhibits are meant to give a real sense of the tragedy and they do. The reaction that many people who visited the museum was quite strong – I saw a few young ladies cry as they saw videos of the devastation that was wrought that fall morning. Others just stood there, in a daze, not believing what they were seeing. To me, it was as shocking a spectacle as it was normal – in a sense that the amount of imagery that I have consciously and unconsciously been exposed to has perhaps dulled my senses. I did not cry, but I did feel a strong sense of empathy with all those who died and a sense of respect for those who responded to the call for help– especially the first responders, including the ones from Ladder 3 Company, all of whom perished that day. “They died, saving the lives of thousands. You must remember that there were over 15,000 people in both towers that the fire fighters tried to save. We lost very few, compared to how many were there in the buildings,” pointed out the old lady who was volunteering as the point of contact at the burnt display of one of the fire trucks. The ‘essentialising’ of ‘Islamic terrorism’. While there is large consensus that Al-Qaeda carried out the attacks and extremists who used the rhetoric of Islamic jihad were behind the planning, there is definitely a problem in the way that ‘Islamic terrorism’ is portrayed in the Museum. Some commentators have taken issue with how the rise of Al-Qaeda is portrayed and the word ‘Islamic’ terrorism is a misnomer and that it is terrorism carried out by those who were claiming to follow Islam. Nothing Islamic about their actions. While this may be a linguistic nuance, and one that I would agree with, vast majority of academics and intelligentsia seem complacent and happy with ‘Islamic terrorism’ and the word has gotten a lot of play. It seems almost banal to bring it up. Except that it is not banal and harmless. Consider this: For all the effort at portraying and including all evidence and narratives, the Museum brochure does include a few languages – to ensure that people from around the world understand what they are seeing. I did see Japanese, Korean, Chinese, and German – but noticeably there was no Arabic script. Are the Museum staff telling something through this omission? I find it hard to believe that they left out Arabic – one of the world’s most widely spoken languages from the brochure, in a city that has a large Arab population and also hosts millions of Arab speakers on an annual basis. And I don’t think it is an unconscious omission. There is more to it than just a slip on someone’s part. I find that disturbing. The museum also fails on this account, of leaving out close to a billion people. And is there a valid reason for this?